Chicago | Reuters — Chicago Mercantile Exchange hogs on Tuesday marked new lows, and the August contract fell by its three-cent daily price limit, amid eroding cash prices and the roll by funds, said traders. Tuesday was the second of five days that CME livestock market funds which track the Standard + Poor’s Goldman Sachs Commodity Index sold, or “rolled,” August futures into deferred contracts. Futures drew more pressure from burdensome supplies ahead and mounting U.S. trade worries with China and Mexico, they said. “Traders are growing increasingly concerned about the export markets,” said independent livestock futures trader Dan Norcini. 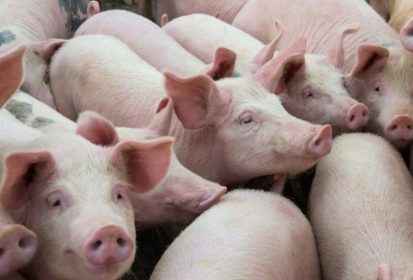 Prices for slaughter-ready, or cash, hogs have fallen the past four sessions as packers try to conserve margins that recently recovered from red ink, a trader said. Processors are also having difficulty moving pork during hot summer weather when consumers tend to eat lighter meals, he added. July hogs ended down 0.725 cent/lb. at 79.5 cents (all figures US$). August closed three cents lower at 69.775 cents, posting a new contract low. CME’s hog limit will expand to 4.5 cents on Wednesday. Fund liquidation and a looming supply buildup weighed on CME live cattle contracts, said traders. The positive thing about people talking about big supplies in July is it causes some feedlots to sell cattle sooner, which could mean fewer animals later, said KIS Futures vice-president Lane Broadbent. “The bottom line is cash prices were strong last week, beef demand is still good… cattle weights are manageable and packers are making a lot of money,” said Broadbent, who is anticipating cash prices this week around $110-$112/cwt. On Tuesday packers did not respond with bids after feedlots in Texas and Kansas priced cattle at $116/cwt. Last week, cash cattle in the U.S. Plains moved at $112-$114 versus $106-$108 a week earlier. August live cattle closed down 0.675 cent/lb. at 105.45 cents, and below the 100-day moving average of 105.729 cents. October ended 0.8 cent lower at 107.825 cents, and under the 20-day moving average of 108.08 cents. CME feeder cattle closed moderately higher on short-covering and strong cash feeder cattle prices. August closed up 0.4 cent/lb. at 151.85 cents. — Reporting for Reuters by Theopolis Waters in Chicago.